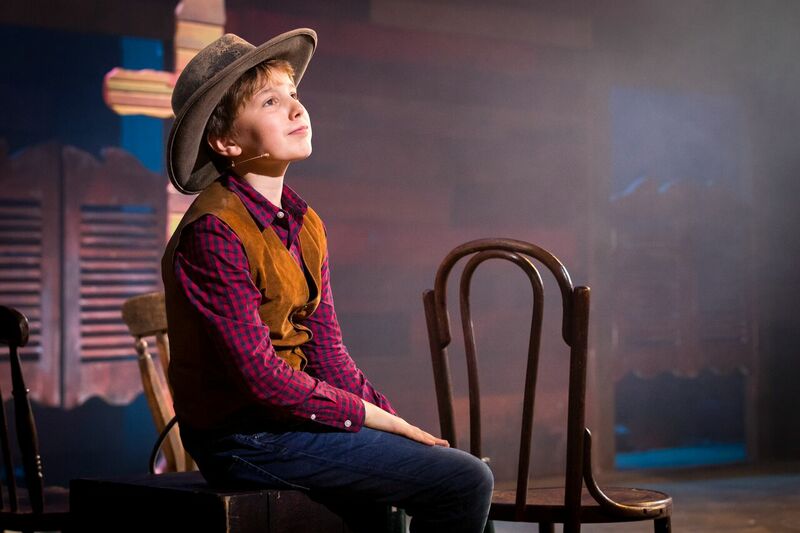 Review: Billy The Kid. A NEW musical by National Youth Music Theatre. Curve Leicester Studio. – East Midlands Theatre. 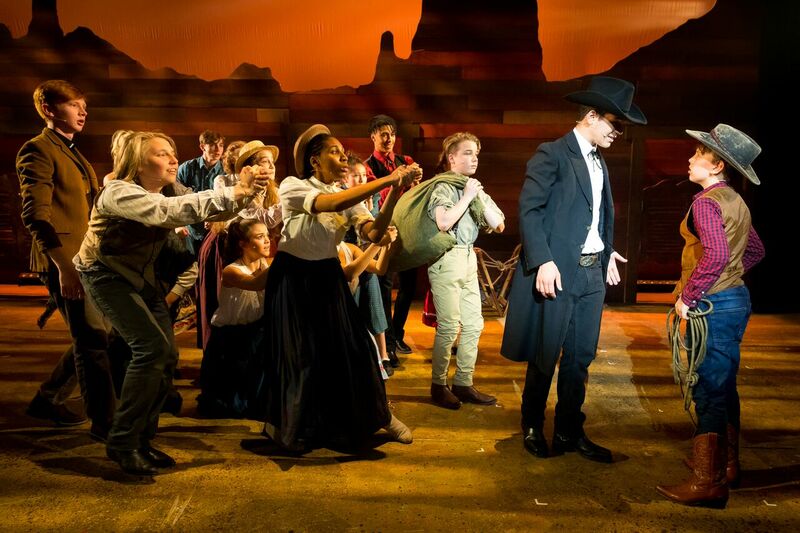 Review: Billy The Kid. A NEW musical by National Youth Music Theatre. Curve Leicester Studio. 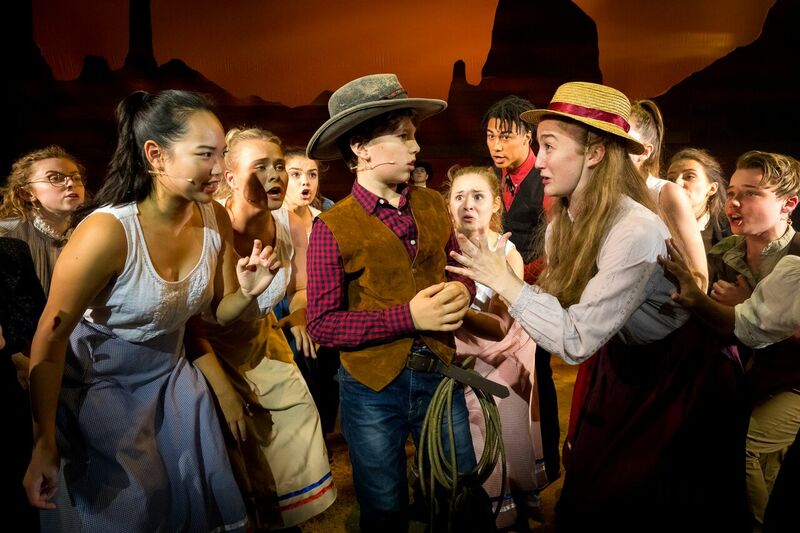 Written by Ben Frost and Richard Hough the brand new Billy The Kid the musical, performed with admirable energy and commitment by the astounding National Youth Music Theatre company, is one rootin’ tootin’ – all singin’ an’ all dancin’ – musical comedy with a lovable heart as wide as the Grand Canyon. If you are looking for a feel good show featuring some very talented youngsters then this is definitely it. It is perfect theatrical entertainment for all the family. 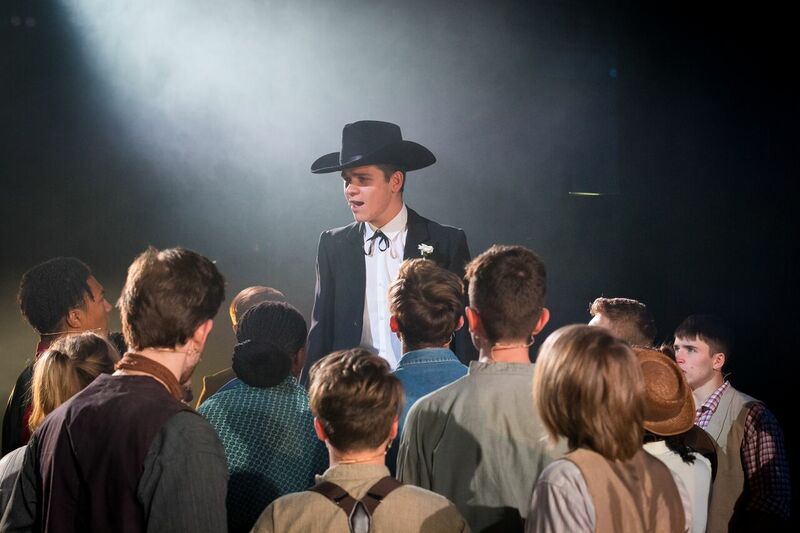 Billy The Kid runs at Curve until Saturday 26th August. It is smartly directed by Kate Golledge and encompasses the talents of musical director Charlie Ingles. 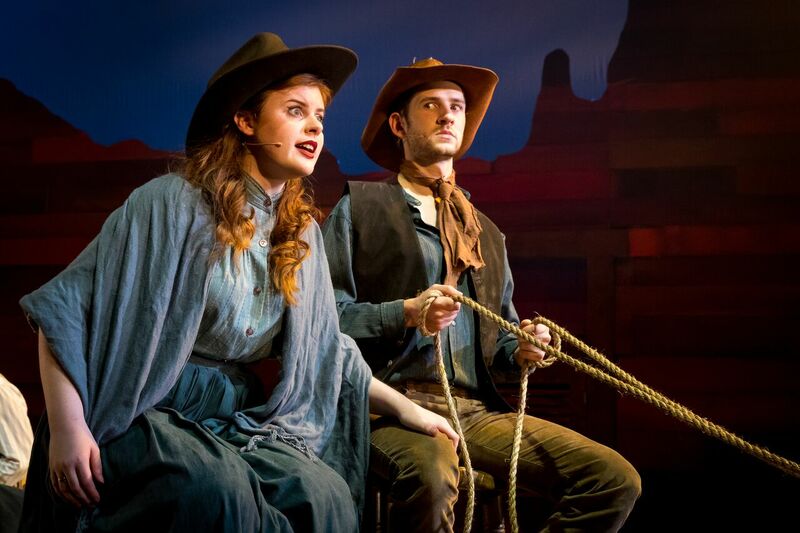 The show is vibrantly choreographed by Darragh O’Leary and this new musical is Wild West fun all the way, with some touching moments of romance lassoed in for good measure. With a multi – ethnic cast of thirty, very talented and totally committed performers, aged between thirteen and twenty two, (the latter being two Old Timers), it exceeds all expectations. 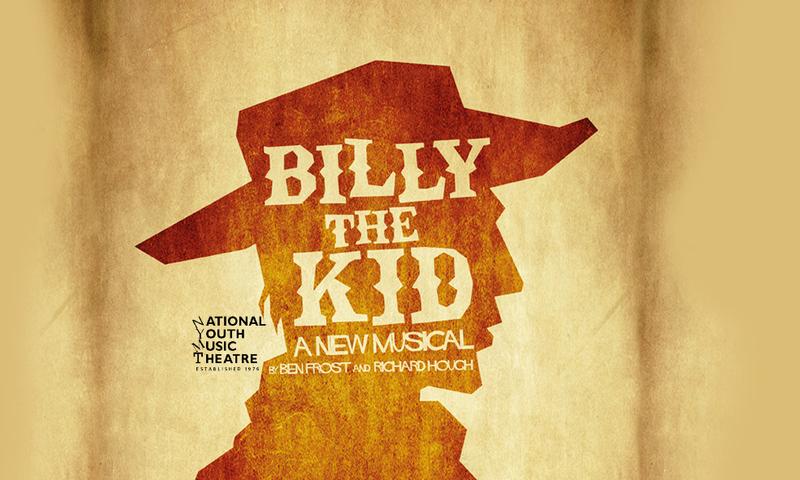 Billy The Kid tells a story of a modern day, shy and bullied young lad called William, who dreams of being a cowboy hero and defeating the baddies in his real life and also in his imaginary life in the 1800s. Thirteen year old Ben Lewis from Cambridge is a knock out as the titular hero Billy. Ben Lewis is a name to watch out for in the future world of musical theatre. 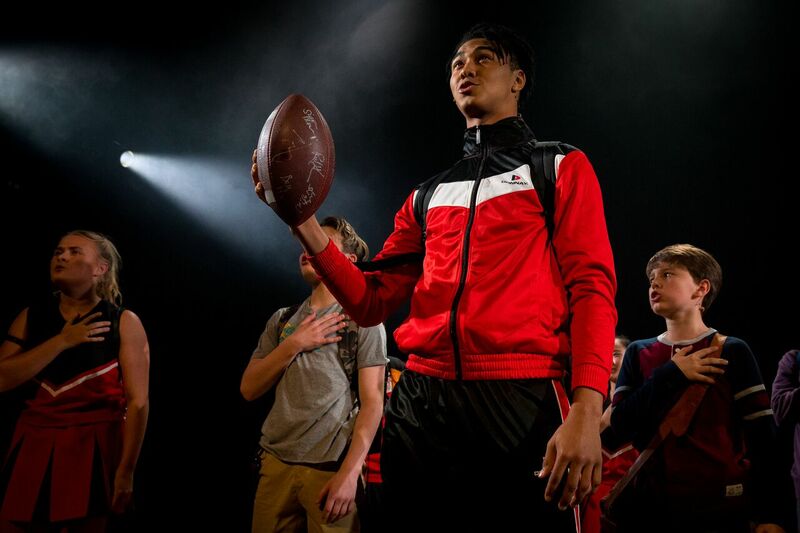 Whilst his songs are very well sung, what really comes across is this young man’s innate talent and confidence on stage in both his straight acting and many physical comedy moments. He is instantly believable, focussed and ultimately lovable. Many others make this show the success it is. These include Josh Barnett as Colonel J Murphy. 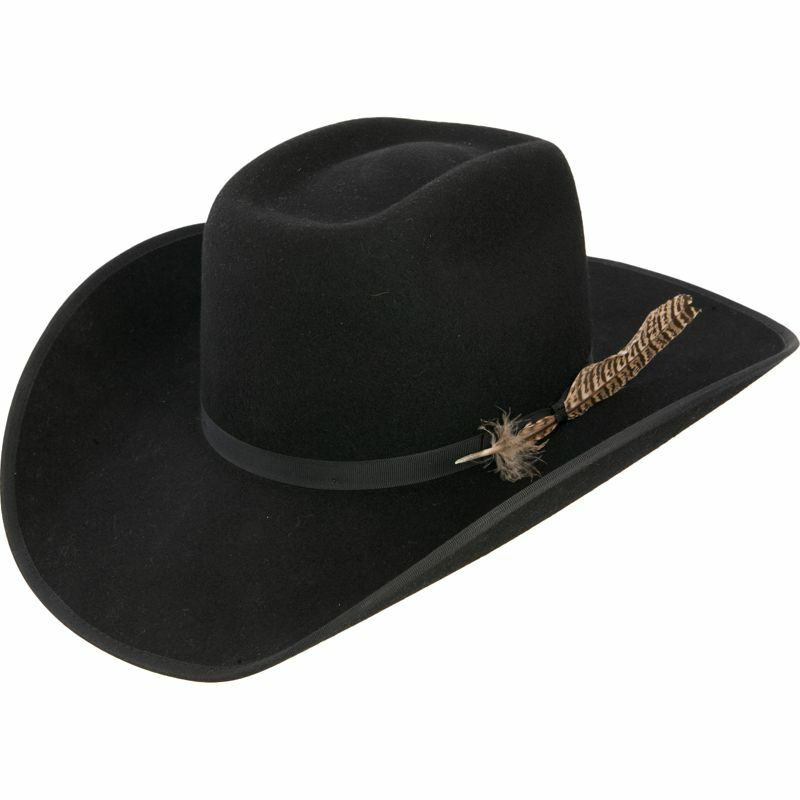 Barnett is totally convincing with his sleazy con man, black- attired bad boy cowboy, and modern bully boy role. 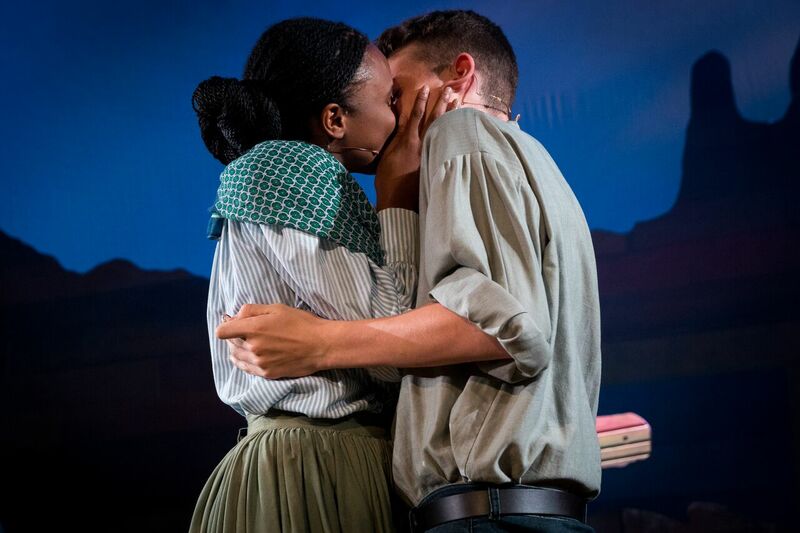 Aliyah Odoffin as Mary Meacham and Frasier Jacobs as shy bar room owner Sam Briscoe are exceptionally sweet together, very convincing and both possess good strong singing voices. 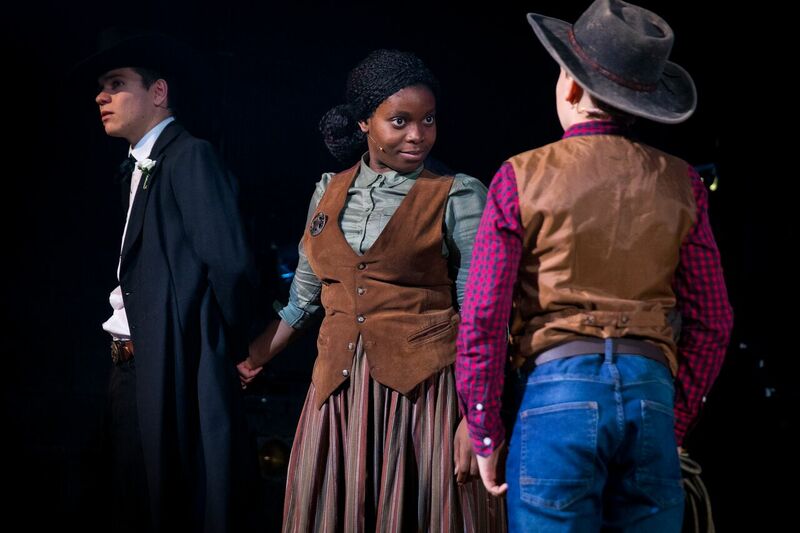 Justina Aina is terrifically cast as Pat Garrett. Aina demonstrates formidable confidence in her character and has a fine singing voice to boot. As Irish immigrant Olivia O’Donnell, actress Sophie Boardman from Lincolnshire, puts in a great performance with shed loads of lovable characteristics and finely motivated reactions throughout. The whole ensemble playing the townsfolk, the clean living cowboys and the delectable Lincoln lovelies have tremendous presence throughout, ascribing superb timing overall to their choreography and vocal strength in the choral numbers such as The Spirit of Freedom, American Heroes and Liberty Bell. Ethan Le Beouf is tremendously charismatic and likable as Joseph Griffiths-Brown, particularly in the rousing number Happy Birthday Uncle Sam! His conviction in promoting the ideal American way of life is genuinely very inspiring. Unlike a certain Mr D Trump. 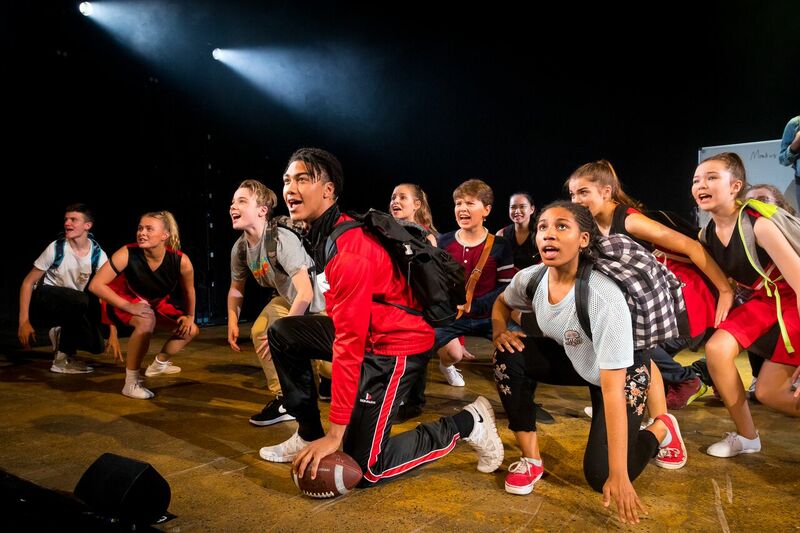 The live National Youth Music Theatre orchestra, nineteen strong, and very accomplished, are terrific and really help to make this live musical theatre experience a total joy. The many scene changes are executed with finesse and the stage coach robbery is cleverly directed and huge fun to witness. 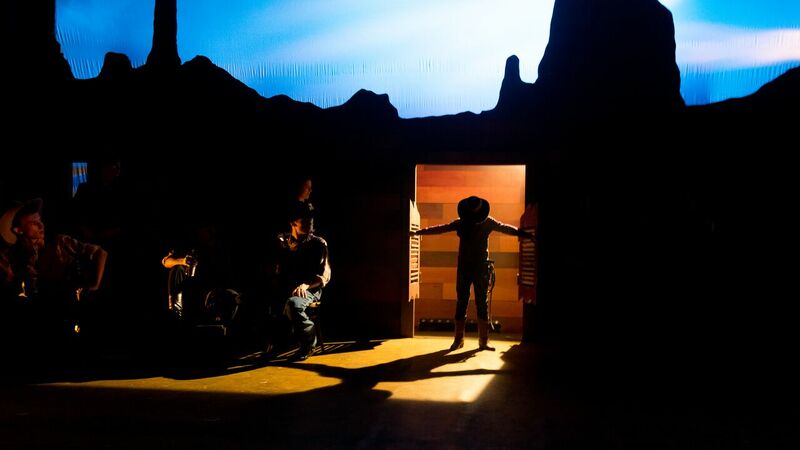 The Wild West setting by set designer Simon Kenny allows for some great atmosphere and a thrillingly choreographed change of scene from contemporary to the mid 1800s at the top end and finale of the show. What a great show, performed tonight by such a talented cast of young performers! I was amazed by the pure talent that came across from every single member of the cast and the high levels of energy and confidence kept me on the edge of my seat for sure! I want to quickly say a huge well done to all of the members of cast for their great vocals and confidence throughout the whole performance, you all managed to portray a great meaning through such wonderful characterisation. Truly amazing! I’ve seen some great vocalists here and there but boy were you all good! Every song that was sang was truly flawless. You all had such power and emotion behind your vocals which was magnificent! The transportation of the props during and between scenes was such a brilliant idea. 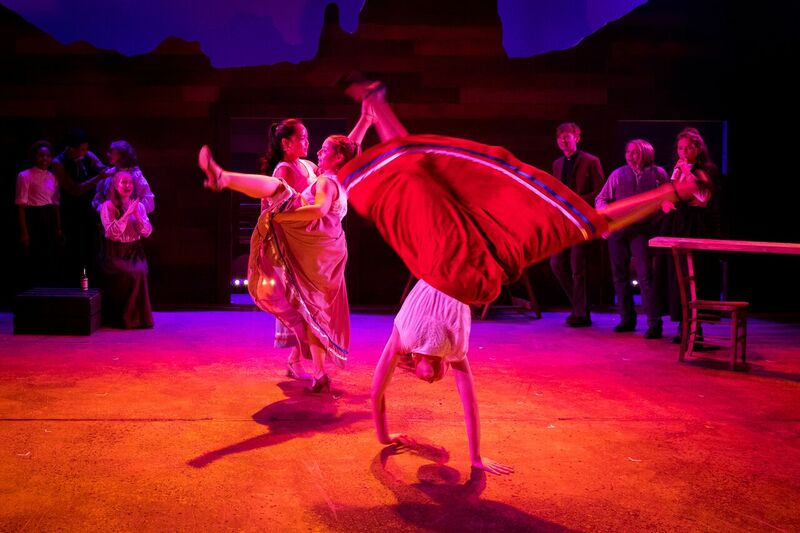 It allowed the audience to concentrate on what was going on whilst also transitioning into the next scene. I look forward to many more shows that are being performed by NYMT but for now, I must go and write a theatre review for my A-Level project from what I’ve seen tonight- wish me luck! The Kite Runner returns to Nottingham Playhouse. Review:#JeSuis (in progress) Curve Leicester.